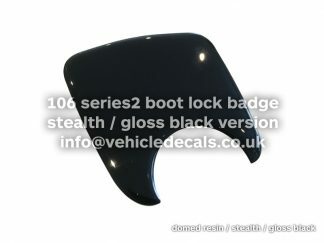 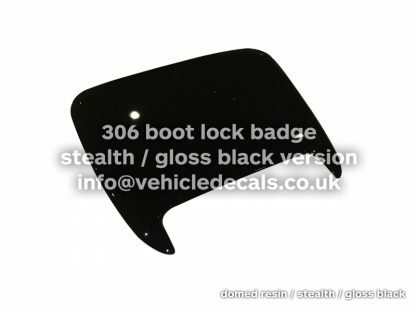 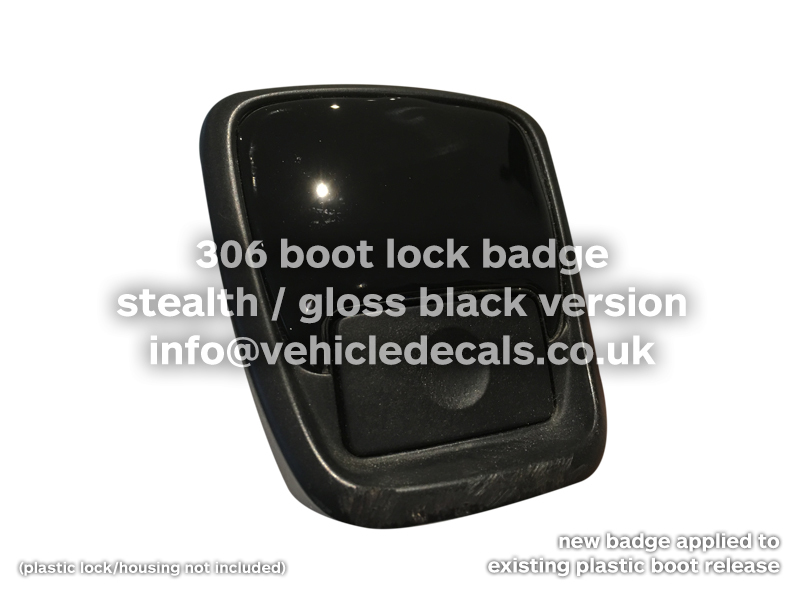 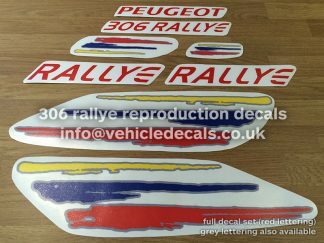 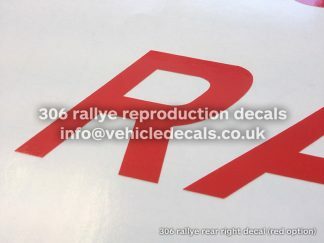 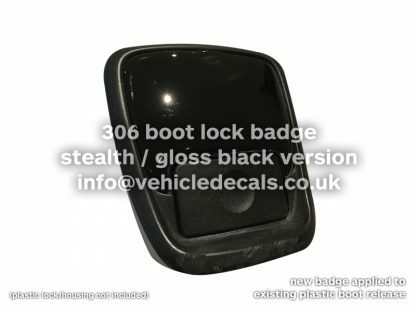 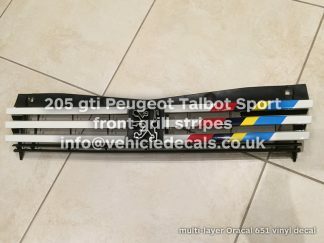 These are stealth/all gloss black versions of our rear boot emblems/badges for the Peugeot 306 Phase2/Phase3 tailgate lock.  They are known for looking tatty and fading with age. 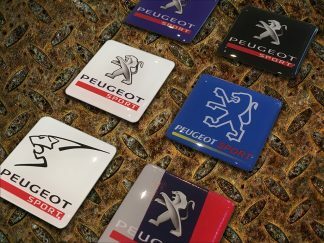 Peugeot did similar ones years ago (part no’s 8726L4, 8726H3 and 8726L2) but these are the all black versions minus any chrome lion. 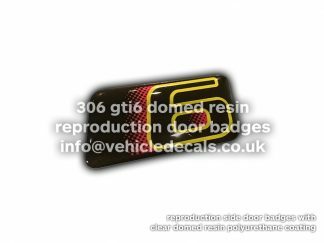 They are completely gloss black with a top coat of polyurethane premium domed resin, giving them a raised gel look that will freshen the badge up. 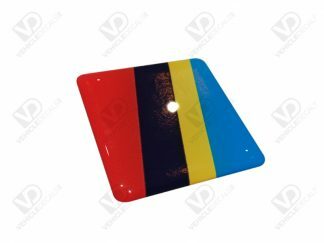 The original style ones are also available in our shop here, with our own custom “Modern” style too!